I have project notes in evernote with time estimates attached to individual tasks (see attached). I have manually added these to get the total time for each projects. 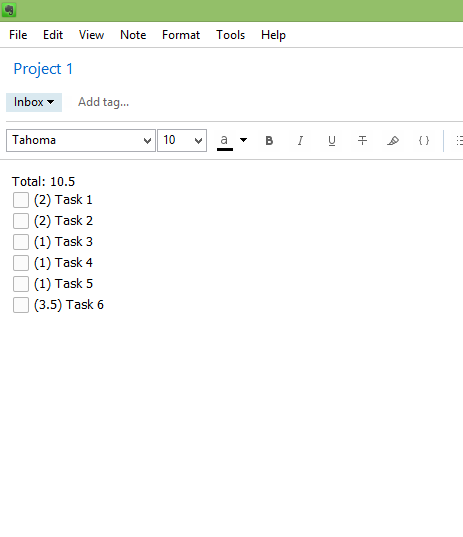 I want to be able to update total project times in EN, and then have the "Updated Time" column in excel automatically update to reflect the amount of time remaining in the project. What must I do or change to accomplish this? I don't know any way but copy/paste.